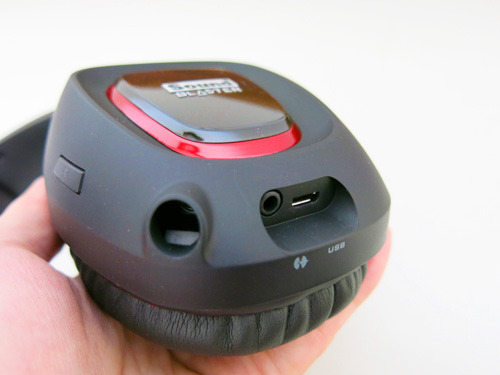 The Sound Blaster Tactic3D Rage USB gaming headset is Creative's answer to an affordable gaming headset with superior audio. There is also a wireless version available which is the Tactic3D Rage Wireless. 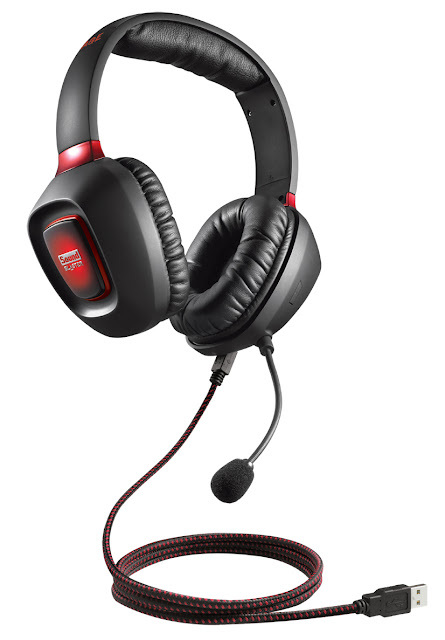 The headset features two 16 million-color illuminated ear cups, 50mm FullSpectrum drivers and 3D Surround audio which is beyond the 7.1 audio standard. 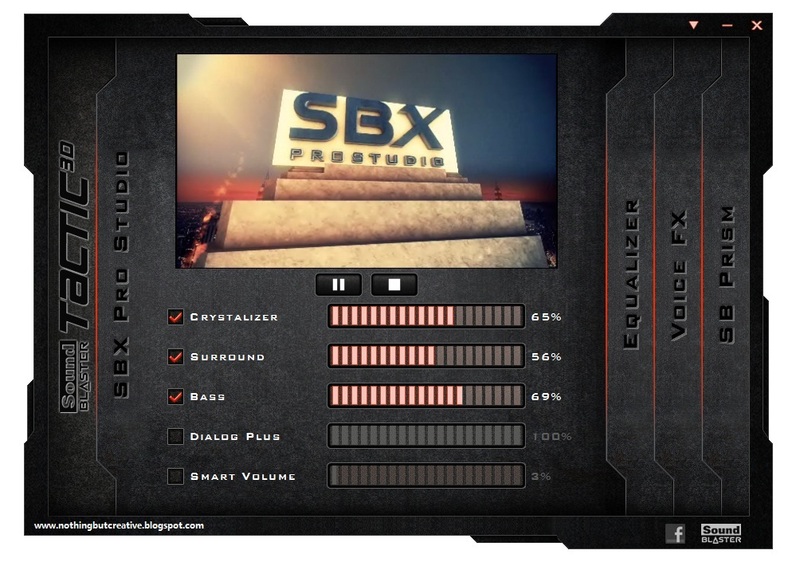 Beyond the hardware specification, most of the audio enhancements are driven by Creative's SBX Pro Studio software. This includes the SBX Surround, Crystalizer and Bass. I will take more about each of them in detail later. A closer look at the ear cup of the headset. The built-in volume control dial allows you to conveniently and accurately adjust the volume of the headset. 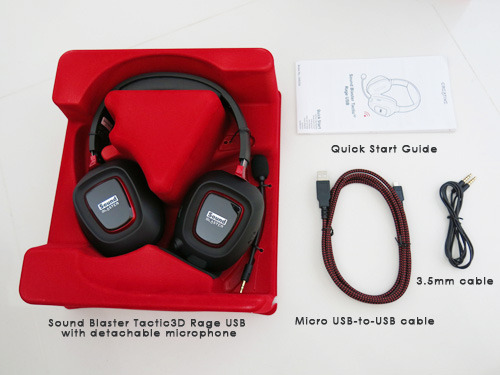 Comes in the box is the Sound Blaster Tactic3D Rage USB headset, a detachable microphone, quick start guide, micro USB cable and a 3.5mm audio cable. 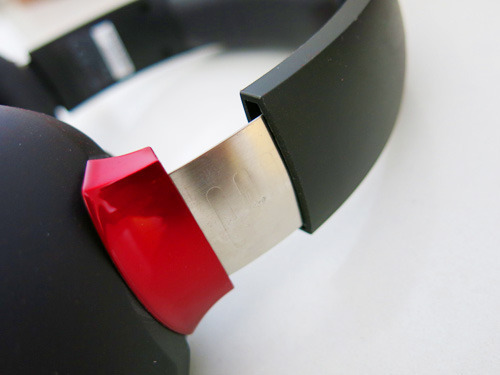 The headset is enforced with a steel core to ensure durability. The foam cushion on the headset allows you to game comfortably for extended period of time. 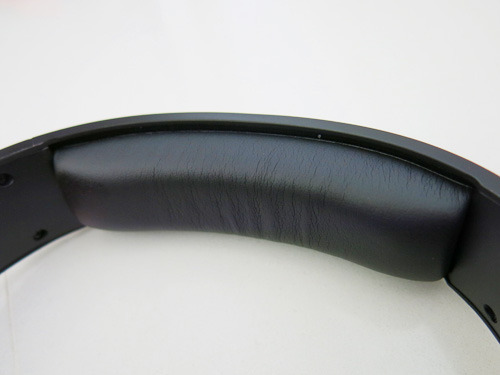 All the controls are located on the right ear cup. You can attached the detachable microphone and mute it with the mute button. 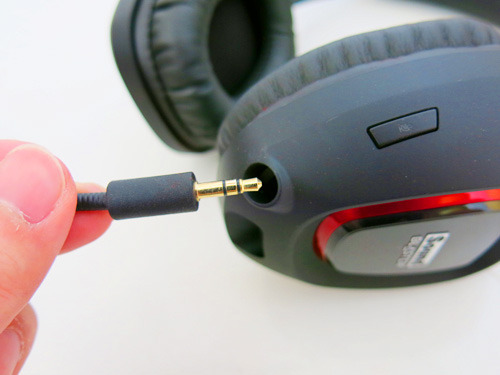 You can choose to input the audio through the USB cable or via the 3.5mm audio jack. 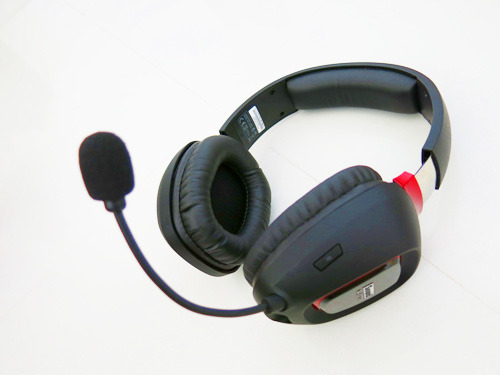 The Sound Blaster Tactic3D Rage USB headset with the detachable microphone intact. The detachable microphone's 3.5mm gold plated connector. 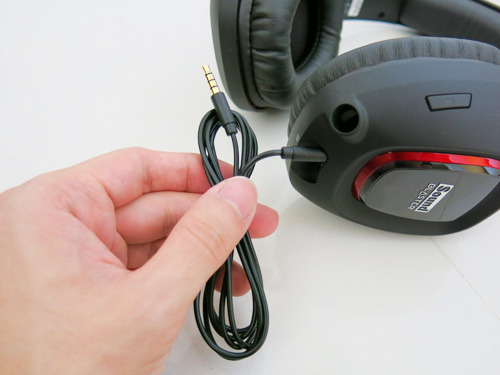 The 3.5mm Aux-in cable, for you to connect to your other audio devices while the headset is connected via USB. The provided micro USB to USB cable for charging and data transfer. 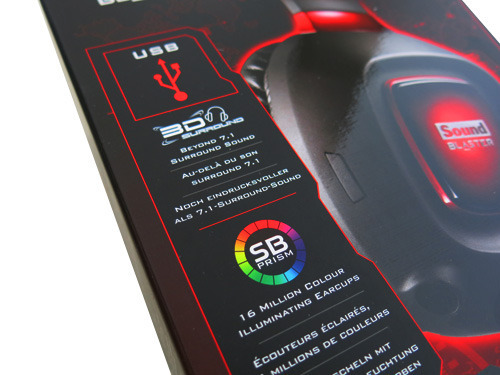 One of the greatest selling point of the Sound Blaster Tactic3D Rage headset is the software. Powered by the SBX Pro Studio suit of audio technologies, you get to customize and enhance your audio for music listening, movie watching etc. You can download the Sound Blaster Tactic(3D) Control Panel for free from the Creative website here. The file is about 93MB and takes roughly 15 minutes to download. For the Sound Blaster Tactic(3D) Control Panel, you would need to plug in your headset or USB dongle for the wireless version. 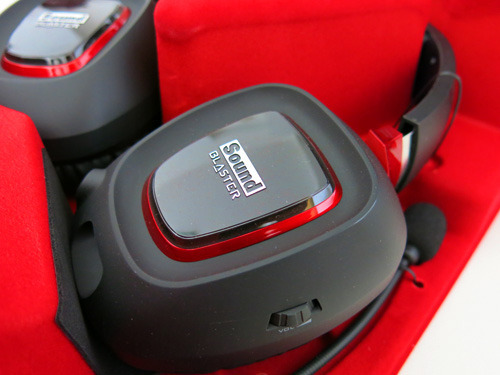 (Do note that the software will only work with the Sound Blaster Tactic3D range of gaming headsets.) Once the control panel is active, you will be brought to the SBX Pro Studio panel to customize your Crystalizer, Surround, Bass, Dialog Plus and Smart Volume level. The SBX Pro Studio demo reel is played on loop to help to hear the difference in audio enhancements real time. Similar to the previous X-Fi Crystalizer, this helps to enhance the dynamic range of your low quality, compressed audio to give you a more realistic experience. A set of algorithm that increases and expands the virtual surround spaciousness to give you an all round 360 surround experience. 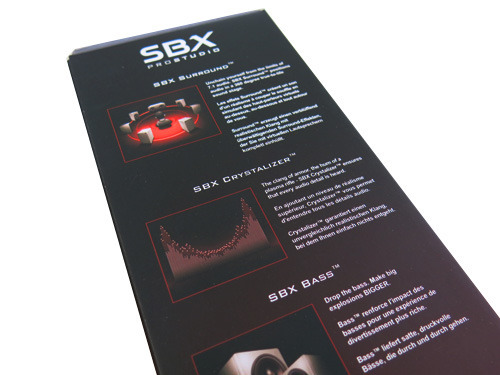 SBX Bass fills extends the low frequency tones and gives the extra impact for a dramatically improved sound experience. SBX Dialog Plus enhances the voices in movies for clearer dialog, allowing the listener to hear the dialog over the rest of the soundtrack and over ambient noise in the listening environment. SBX Smart Volume addresses the problem of abrupt volume level changes during playback and between songs by automatically and continuously measuring volume, and intelligently applying gain and attenuation to compensate for those changes. 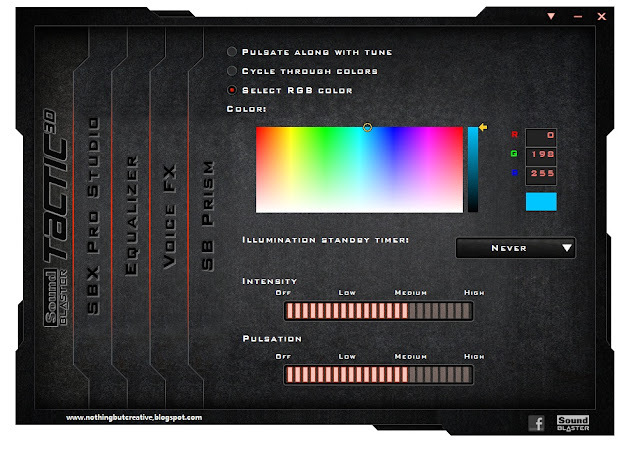 With the Sound Blaster Tactic(3D) Control Panel, every aspect of your audio can be customized. 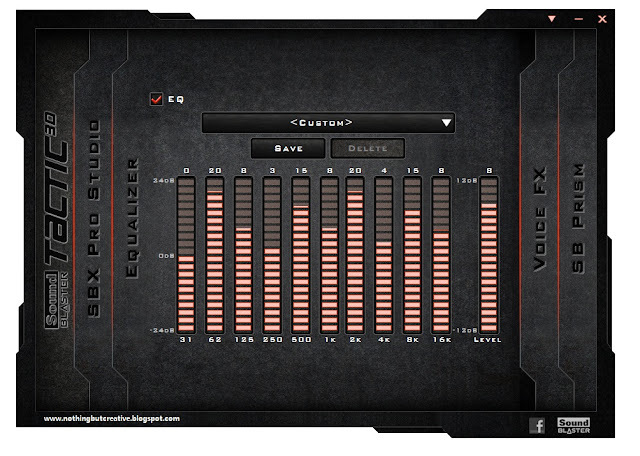 In the Equalizer panel, you can choose from 10 defaults EQ or save a customized EQ settings which you like. I found that the 10 defaults EQ would probably have a setting for everyone - from the bass to vocal lovers. 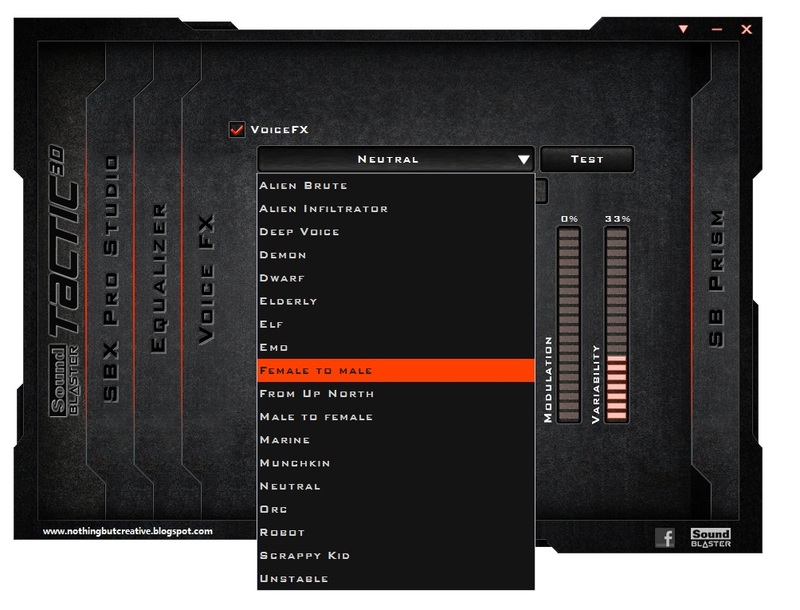 One of the most fun feature of the Sound Blaster Tactic(3D) Control Panel is arguably the Voice FX effects. At this panel, you can morph your voice on-the-fly to one of a demon, elf, orc, robot and many more. You can also adjust the pitch and quiver of each effect. That's alot of customization for one single feature! SB Prism allows you to customize the color of the 16 million-color illuminated ear cups. Some of you might encounter some difficulty in getting the ear cups to change color like me. To solve this problem, close the software and re-run it by right-clicking on the icon and "Run as administrator". 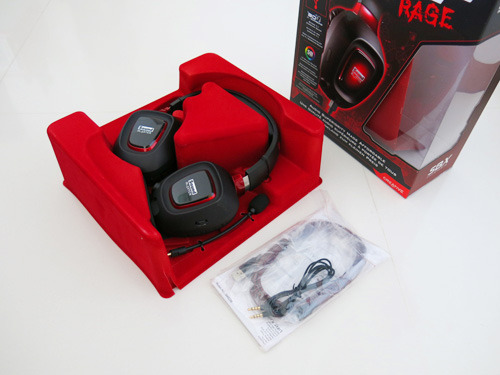 At U$79.99, the Sound Blaster Tactic3D Rage USB cost as little as the Razer's Kraken Pro, yet provide a complete suit of software and illuminated ear cups for full customization. 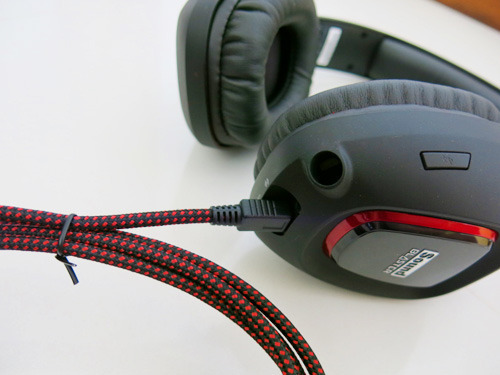 Even when not connected to a PC or Mac, the Rage headset also works as a passive headphones via the included 3.5mm audio cable (without the audio enhancement of the SBX Pro Studio of course). There is little to dislike about the headset but if I really needed to nit pick, more could have been done to increase the comfort of the headset. Wearing it for a prolong period of time would cause your ears to heat up. There are also many nice touches done in the packaging like the red velvet tray that holds the headset firmly in the box and the red beaded cable that is tangle free and doesn't feel as cheap as the normal bundled ones. 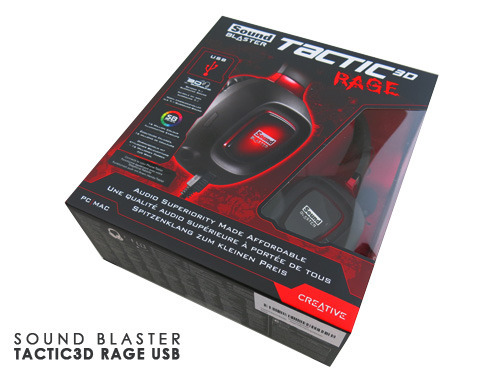 The Sound Blaster Tactic3D Rage USB gamin headset is now available from the Creative Online Store.